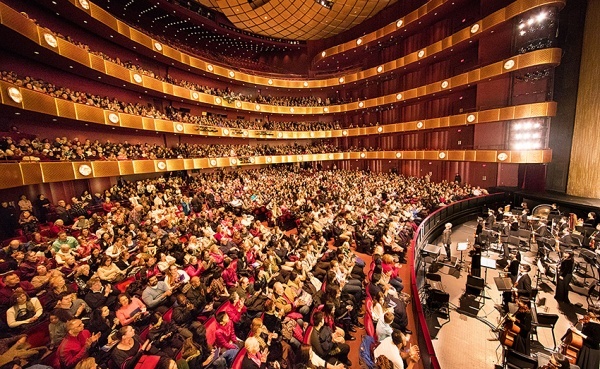 January performances at Lincoln Center are sold out. Don't miss this fabulous experience. Secure seats to March performances today! The David H. Koch Theater is located on the south side of the main plaza of Lincoln Center, adjacent to the Metropolitan Opera House and Avery Fisher Hall. 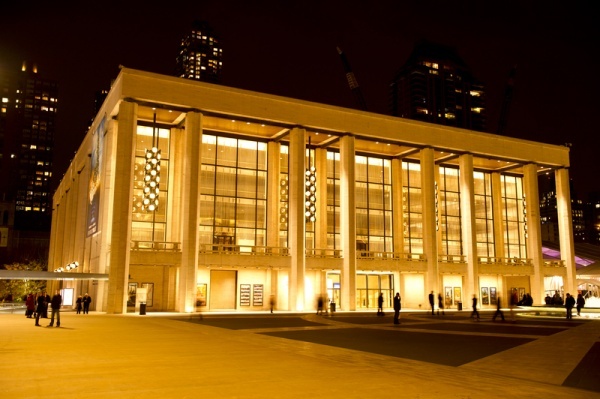 The Theater is home to the New York City Ballet, was designed by architect Philip Johnson and opened on April 23, 1964. The Theater is owned by the City of New York, which has given funds for its refurbishment and which provides an operating subsidy through the Department of Cultural Affairs. The Theater is managed by City Center of Music and Drama, Inc. The 7,875 square foot Promenade area features inlaid Travertine marble floors, forty-foot gold leaf ceilings, dramatic spiral staircases and balconies overlooking the fountain in the Plaza of Lincoln Center. The Auditorium seats 2,586 with five Ring levels studded with "jewel" faceted lights. An immense spherical chandelier is the centerpiece of the ornately paneled gold ceiling.